There are games during the course of a season that can define the personality of a ball club. Up until now, Park Vista has had those moments defined by heartbreaking losses to some of the top teams in South Florida. On Wednesday night, the Cobras came up with one of those games and moments that propels teams to championships. 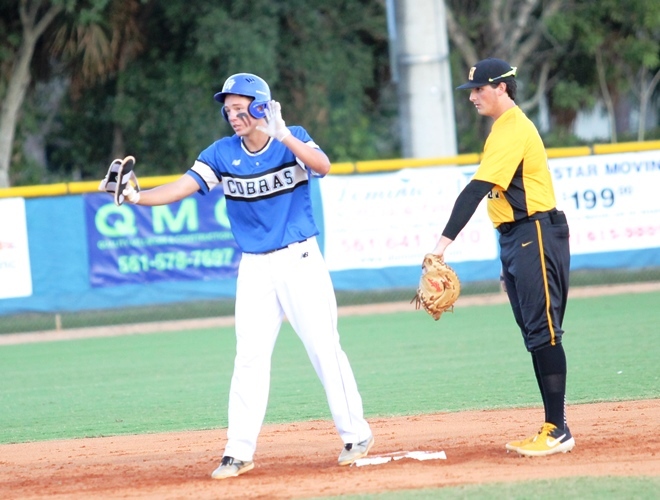 Park Vista fought back from 1-0, 3-1, and 5-3 deficits, and stunned American Heritage-Plantation 6-5 on a three-run, walk-off double off the bat of Taylor Clapp. Park Vista’s 2019 story started in the HSBN First Pitch Florida Invitational against defending state champion Monsignor Pace. In that game, the Cobras held leads, but were unable to close the door on the Spartans. The Cobras went 0-2 in that tournament, and also dropped two of their next three to fall to 1-4. Despite the losses, the team knew they were better than their record. That they are. With Wednesday’s win, the Cobras have now won nine of their last 11 games. Nolan Schanuel, who was an offensive spark plug in this one, going 3-for-4, with two runs, two RBIs, and two doubles, echoed his coaches sentiments. 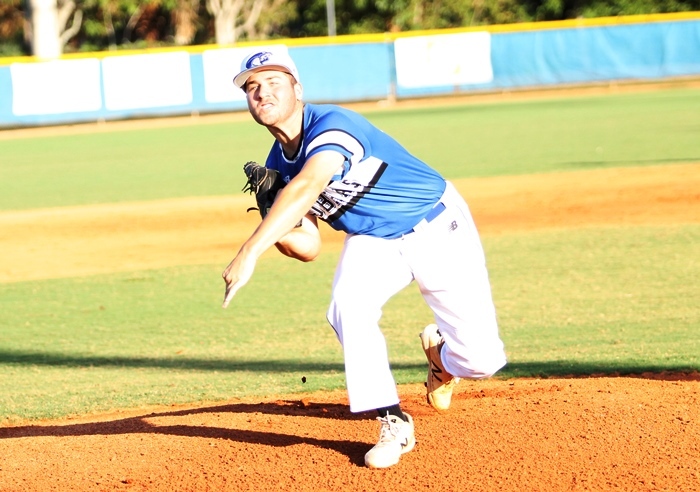 On the mound for the Cobras Wednesday was ace Jake Mannarino. The lefty went four innings, allowing only two earned runs. Despite allowing the Patriots several leads, Mannarino was able to keep his team in the game. Even with the win against one of the top teams in the state, Greenstein, who has brought several of his Park Vista teams to the state tournament, knows that it is a long season.